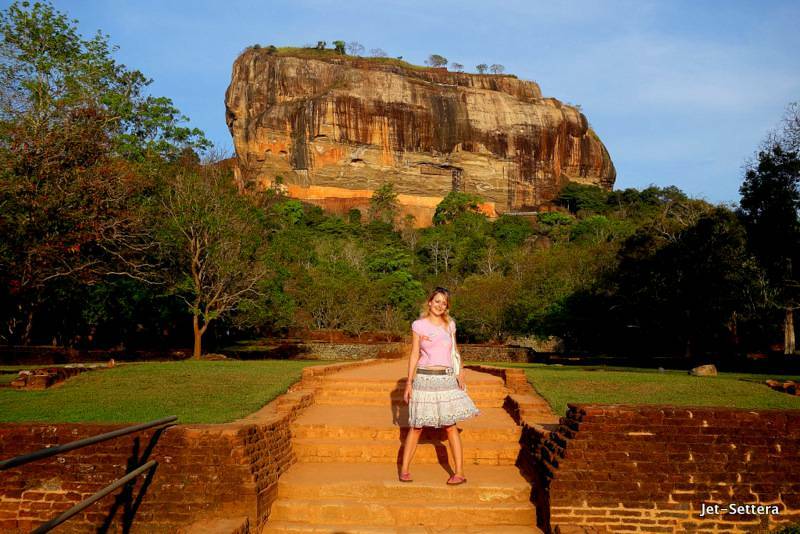 Sri Lanka is a diverse, culturally rich country with beautiful nature, wildlife and friendly people. This experience was a very positive surprise to me and Sri Lanka became my favorite Asian country by the end of the trip. 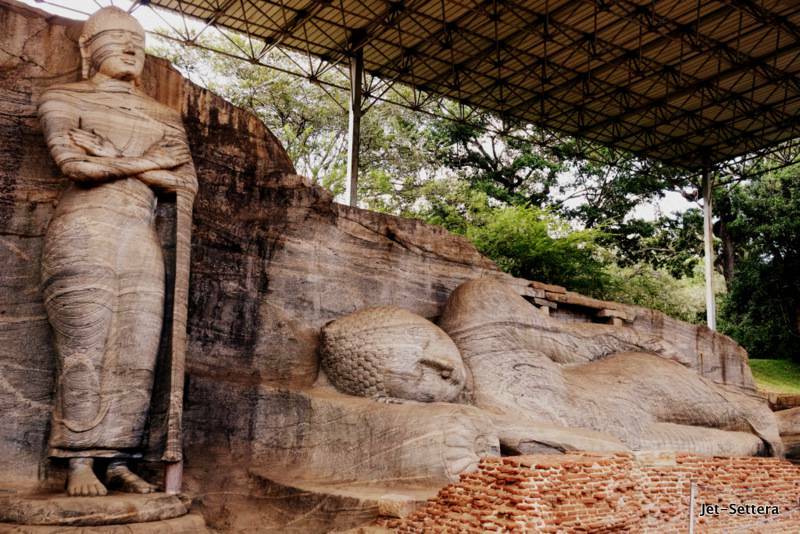 Many tourists visit Sri Lanka, because of its beaches and wildlife, however, Sri Lanka is a very interesting culturally rich country that has a lot to offer for people who want to learn about history, religion and culture. Some of the main historical sites are thousands of years old. The country hosts many colorful UNESCO World Heritage sites. 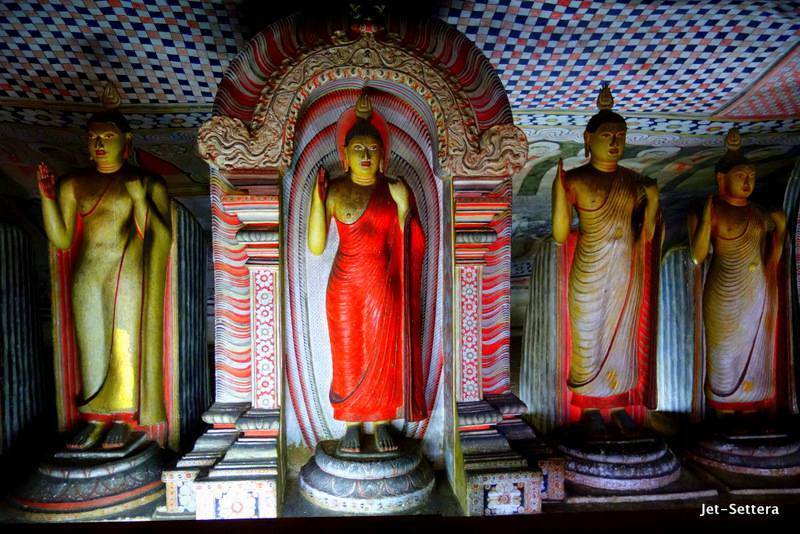 These six temples in Sri Lanka are really decorated and beautiful and every tourist should visit them, who lands on this tiny country. Make sure you always have your knees and shoulders covered, when visiting Buddhist sites and you cant take photos turning your back against a Buddha statues. This temple consists of several well-decorated buildings and holds incredible wealth. The architecture is a mix of Sri Lankan, Thai, Indian and Chinese. It is a very colorful establishment, with many large Buddha statues. It is not only a Buddhist temple, but also a centre of learning. The temple is involved in Buddhist welfare work, including old people’s homes, vocational school and an orphanage. 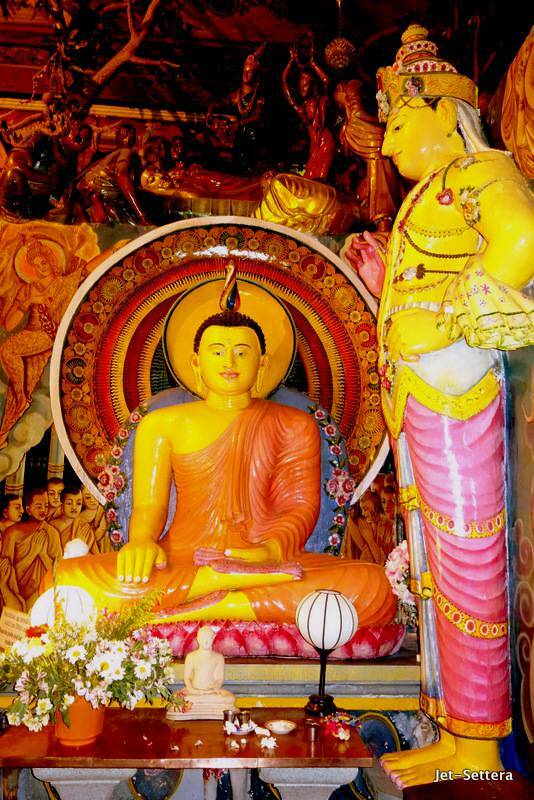 It is the most remarkable Buddhist temple in Colombo and every tourist should visit it. We hired bikes to explore the ancient ruins of Polonnaruwa. 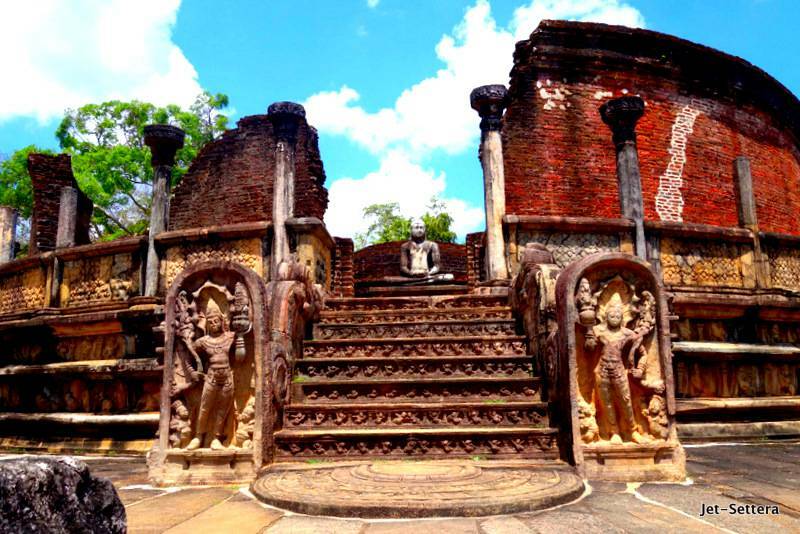 The ancient city was declared to be the second most ancient kingdom of Sri Lanka. It was established before 1070AD. It had a very sophisticated irrigation system, which is still used today during the dry season. The site has been declared as a UNESCO World Heritage site. The size and the details of the temples are magnificent. The place reminded me of Angkor Wat in Cambodia or Bagan in Myanmar. 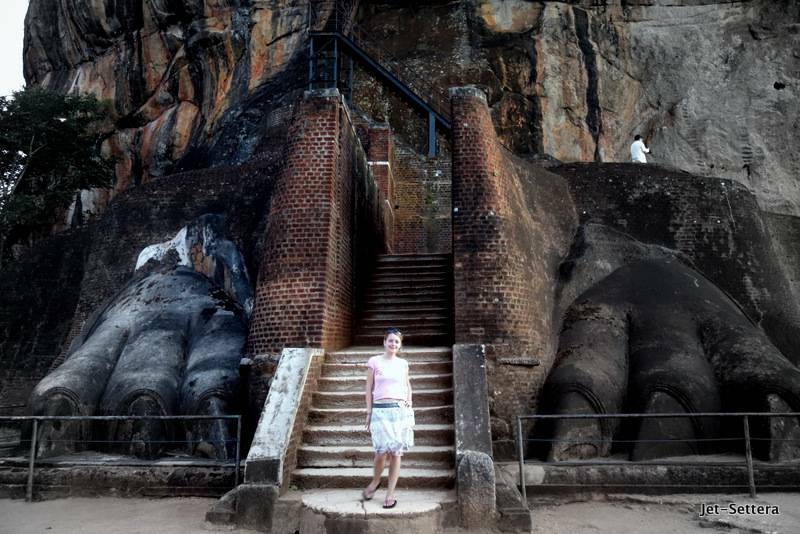 An old fortress was built on top of a giant rock in Sigiriya. The site might be familiar to Duran Duran fans as it was featured in the video of the song Save a Prayer. This is the most visited cultural site of Sri Lanka. It is a big mystery how such a developed fortress was built on the top of a giant rock. Some believe that it was created by aliens. The fortress is one of the eight wonders of the ancient World. 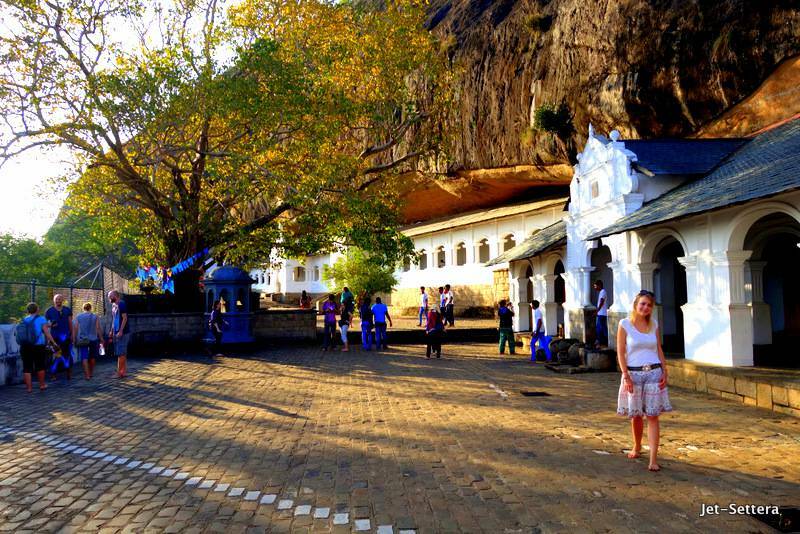 The Dambulla Cave Temple is also known as the Golden Temple of Dambulla. It is a UNESCO World Heritage Site. A wonderful Buddhist temple was carved inside the side of the mountain around 400BC. 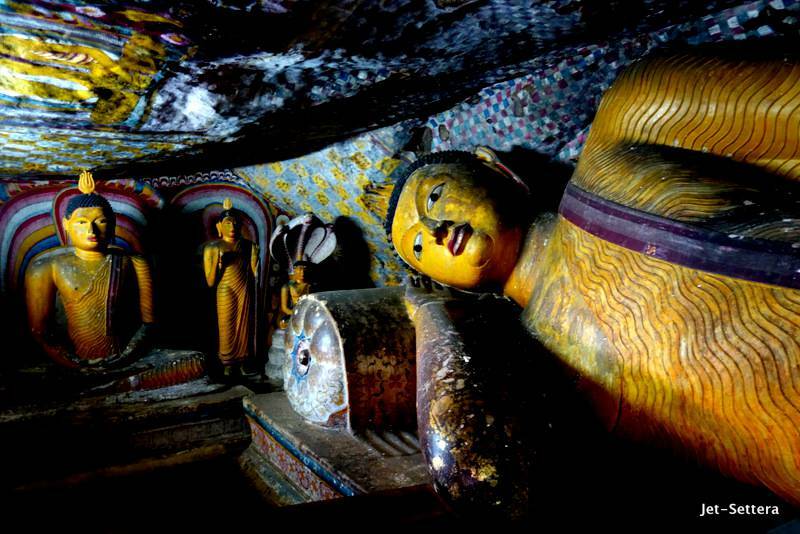 There are many colorful Buddhas and art inside the caves. The place has a rich decoration of beautiful bright colors. 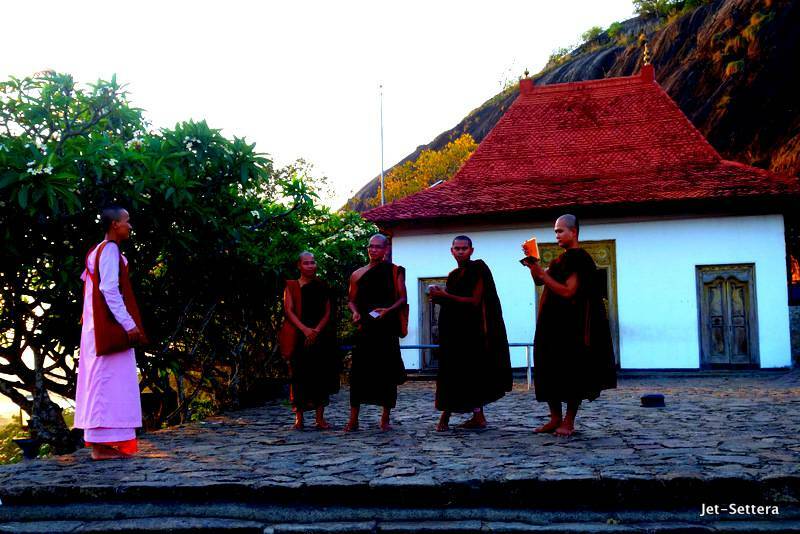 The temple was frequented by young monks, who were wearing their orange or pink robes. 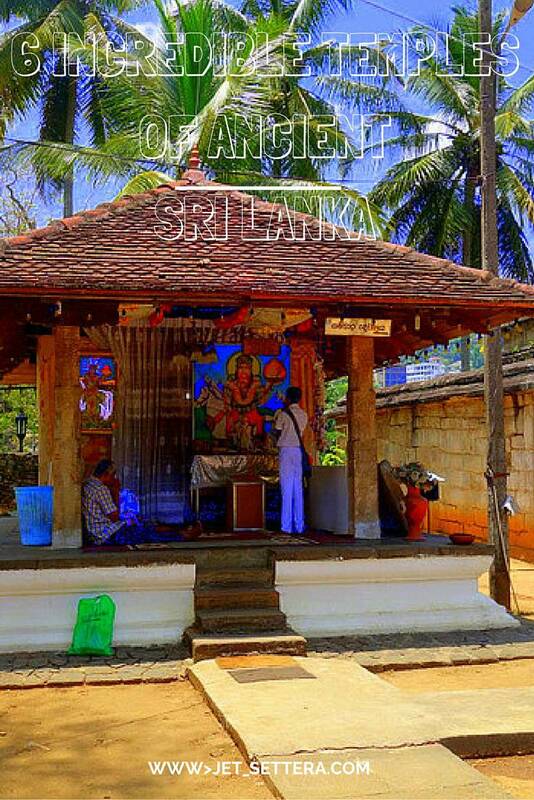 This was my favorite temple in Sri Lanka. Sri Dalada Maligawa or the Temple of Sacred Tooth Relic in Kandy is one of the most magnificent, Buddhist temples of South-East Asia. It is beautifully decorated with vibrant colors and lots of gold inside. 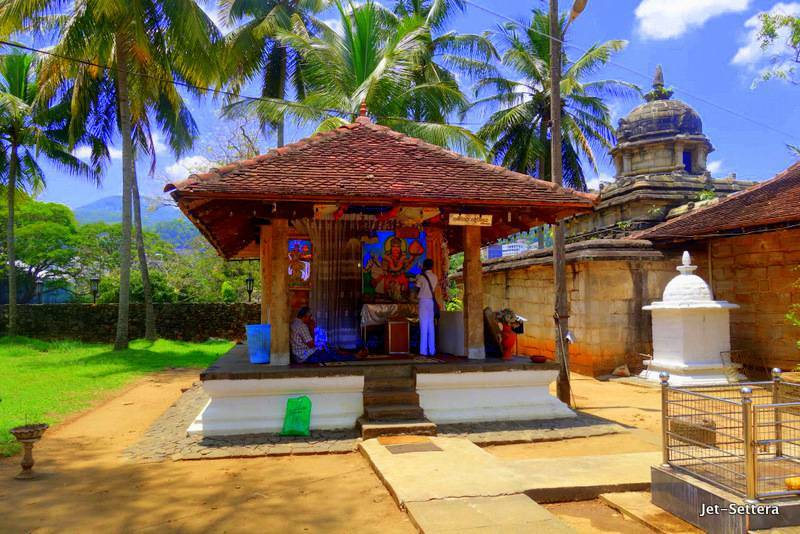 The temple is located in the royal palace complex of the former kingdom of Kandy. 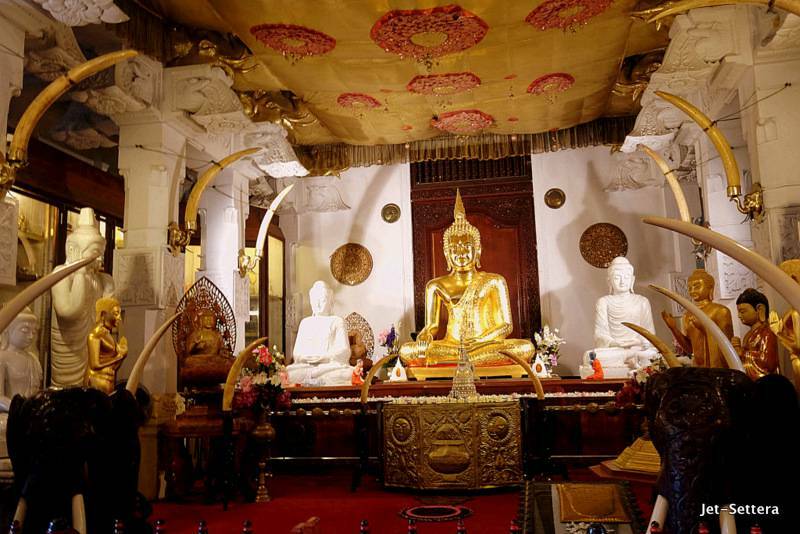 It is a home of the relic of the tooth of Buddha. Since ancient times, whoever holds the sacred tooth relic, holds the governance of the country. Therefore, this place is very significant. Kandy was the last capital of Sri Lanka. Today it is a UNESCO World Heritage Site. 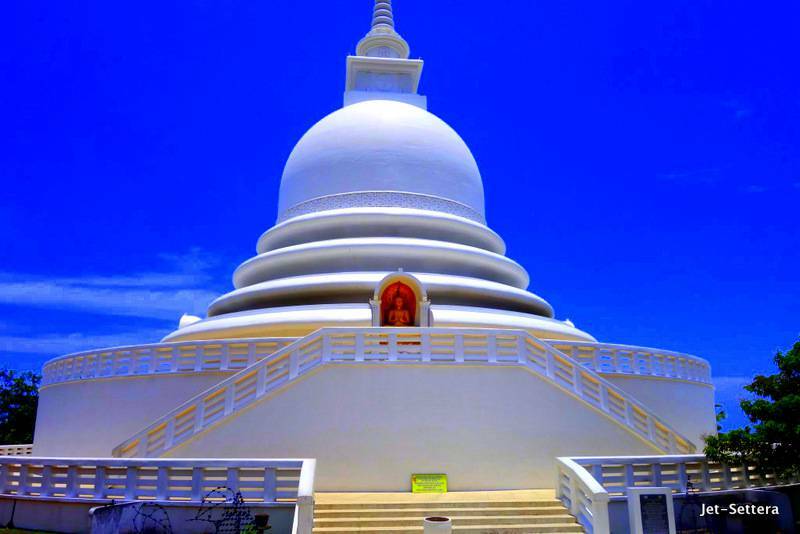 The Peace Temple is a beautiful white, bell-shaped Japanese Buddhist pagoda overlooking the Indian Ocean. The view is magnificent. Visitors can see the Galle Harbour and the the fort. The place resonates piece, with its white color and the blue ocean behind it. Tagged ancient temples of sri lanka, Buddhism in Sri Lanka.